Hello Beautiful Stitchers! I am going to be completely honest today. I am struggling with a healthy dose of overwhelm. This has absolutely nothing to do with my embroidery and everything to do with all the other stuff that goes along with running a creative business in the 21st century. Over the last couple of years I have researched all the things I should be doing in order to run a thriving creative business. I have taken classes to find out how to be a better blogger, how to put more of myself into my business, and how to use social media effectively. 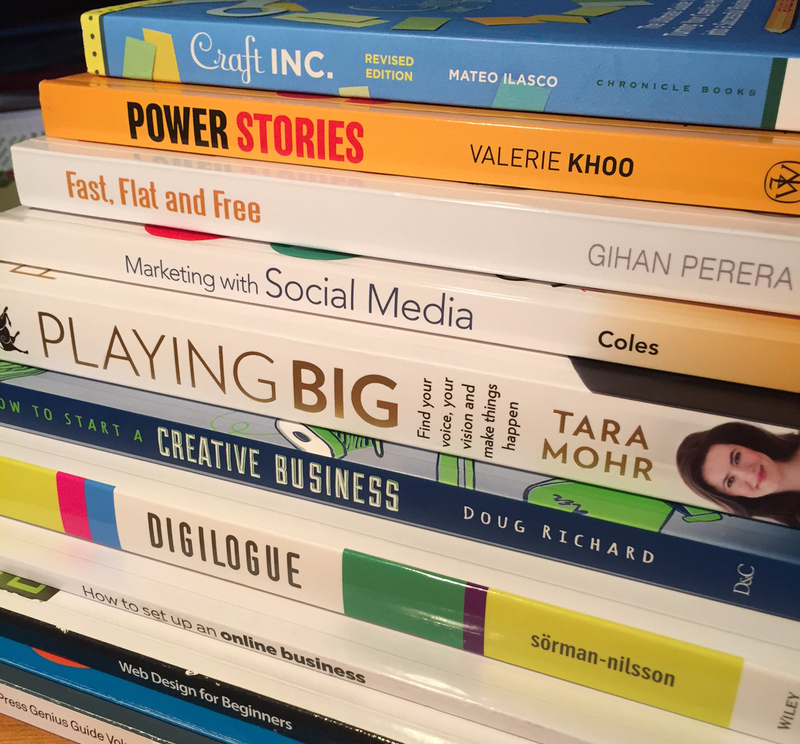 I have bought, borrowed and read countless books and magazines. And I have worked hard to implement what I am learning. Learning to be a good web citizen! But I have a problem. Social media and modern technology just eat time – my very precious time that could be spent embroidering my latest design or writing up workshop notes. And sometimes that just doesn’t feel right. Now don’t get me wrong – I have come to adore Instagram after only two months of using it. I am connecting with fabulous embroiderers and craftspeople from around the world, and I love seeing all the amazing things which they create. But in order to build a following, I am told that I need to post every day and spend time interacting with others by leaving thoughtful comments. 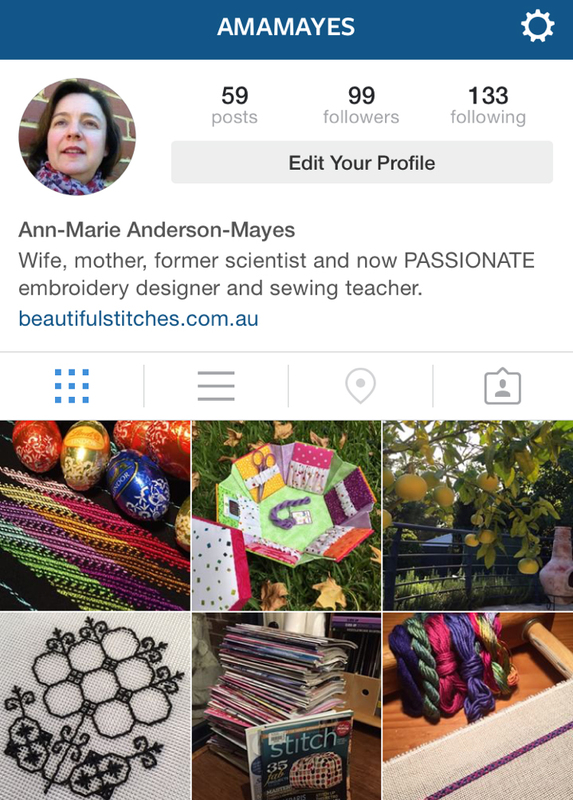 I should also make sure that my posts have a look about them which is recognisably “Beautiful Stitches”. So I need to put time and effort into taking good quality photos that help to build the story of who I am and what makes my embroidery unique. And then I am told that I even need to think about what time of the day it is best for me to post, to maximise my visibility (heaven help me if that happens to clash with the school run, or making dinner, or getting a sick child to the doctor!). Facebook is also a must. I should be posting daily there too and building likes. And the branding between my website, Facebook, and Instagram should all be cohesive. Pinterest is the perfect place for creatives – I should be pinning regularly so that my followers are constantly updated on what is inspiring me this week. And I am told that I really should be blogging once a week or once a fortnight – a target which you, my dear readers, know that I rarely manage to hit. There are a host of other social media platforms that I could be using but I am choosing to ignore. To be perfectly frank I am having trouble keeping up with those where I already have a regular, albeit small, presence. AARGH – stop the social media train, just for a day. It’s Easter Sunday and I want to get off! So why does all this social media and online activity sometimes feel so overwhelming? Well, I think the answer might actually be very simple. The kind of stitching I do is “slow stitching”. It takes time for me to create and develop a new design – and by time I mean weeks or months, not just a few hours or days. I do a lot of rhythmic, repetitive stitching and this process is not easily captured in daily updates. I would completely understand if I showed you the same piece of work two days in a row, and you couldn’t see much of a difference. So social media is a constant challenge for me. A challenge to come up with something new or different or exciting for my feed. A challenge not to flood my feed with exactly the same colours for two months. My latest design has taken two months to develop. I posted updates to Instagram just 7 times. And you see I love “slow”. I love the feeling of continuity as a design gradually develops beneath my fingers. My design becomes a friend as we patiently work together towards a completed piece. I love thinking about an idea deeply – sometimes for days or weeks until it transforms into something new and interesting in my brain. I even love slow food. My favourite Christmas cake for example is Nigella Lawson’s Black Cake. You soak approximately 1kg of dried fruit for a minimum of two weeks in half a bottle of Madeira and half a bottle of rum. And let me tell you there is something indescribably luscious about the result. Nigella even recommends that you eat the cake in “a slow, meditative way”. Thus, the modern media culture for daily updates and quick snapshots isn’t really a natural fit for me. I find myself almost weighed down by the obligation to sort through everyone else’s posts whilst also trying to make sure that I put out good quality content of my own. Some days, like today, it feels like more noise than I want to hear and I don’t feel like I am being a very good online citizen. And yet I know that if I don’t play by the rules, my faint voice will be completely drowned out by all the others who are playing the game a lot better than I am! Instagram is my daily port of call. In other words, I will post something nearly every day on my Instagram page. Mostly it will be related to Beautiful Stitches activity, but occasionally you will get a glimpse into other parts of my world. 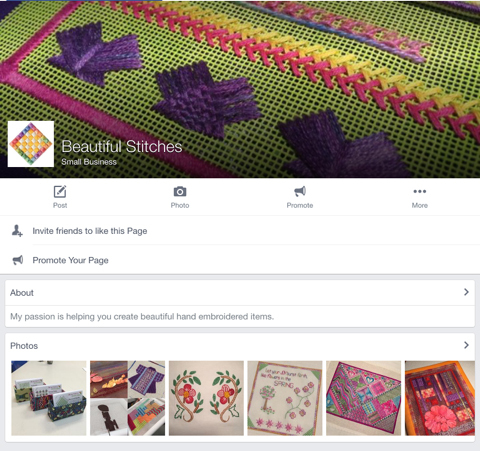 The Beautiful Stitches Facebook page will have posts a few times a week. Typically, the Facebook posts and the Instagram posts will be different because it drives me crazy when I am following somebody in both places and I get identical content in both feeds (perhaps this is just a personal quirk on my part, but nevertheless that is the way I tick). Pinterest is typically a weekend activity for me – a lazy half hour on a Sunday morning is my idea of creative bliss. So my Pinterest page will typically only have new content once a week. Finally, this blog is a place to share the longer stories and drill deeper into how I work. That will happen once or twice a month – more like a magazine that you purchase once a month than the daily newspaper. And most importantly, this plan will help to ensure that I have plenty of time to design, stitch and teach. After all, that is what this entire creative journey is all about. To keep in touch with all my activities, please choose the online space or spaces that suit you best. I will be most happy if you feel that you are getting just enough information from me, rather than too much. And I would love to hear what you think? Do you also struggle with social media overwhelm? Or is that purely the domain of this 40-something woman who would much rather sit down and chat to you over a cup of tea? Hello! 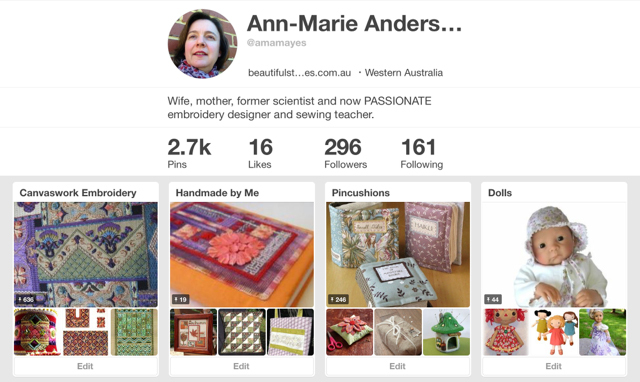 My name is Ann-Marie and I am the creator behind Beautiful Stitches. You can find out more here! I would love you to connect with me on the following networks, or you can subscribe to my newsletter. I will never share your details with a third party. This list only subscribes you to emails from me! 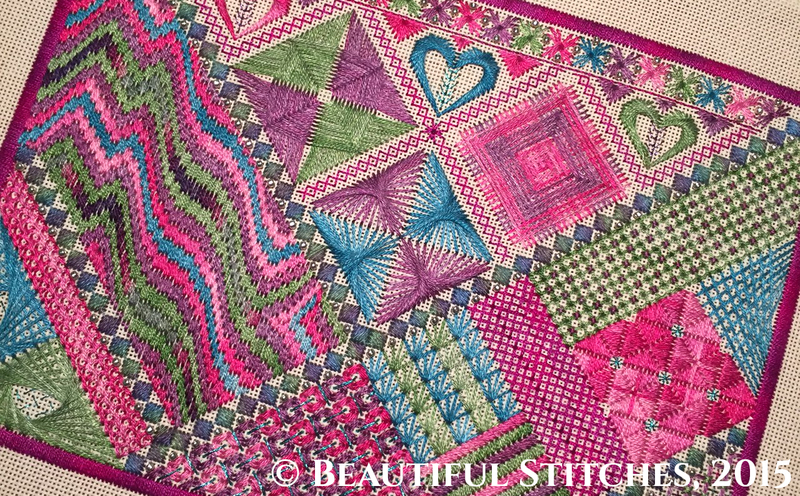 © 2019 Beautiful Stitches. All Rights Reserved.